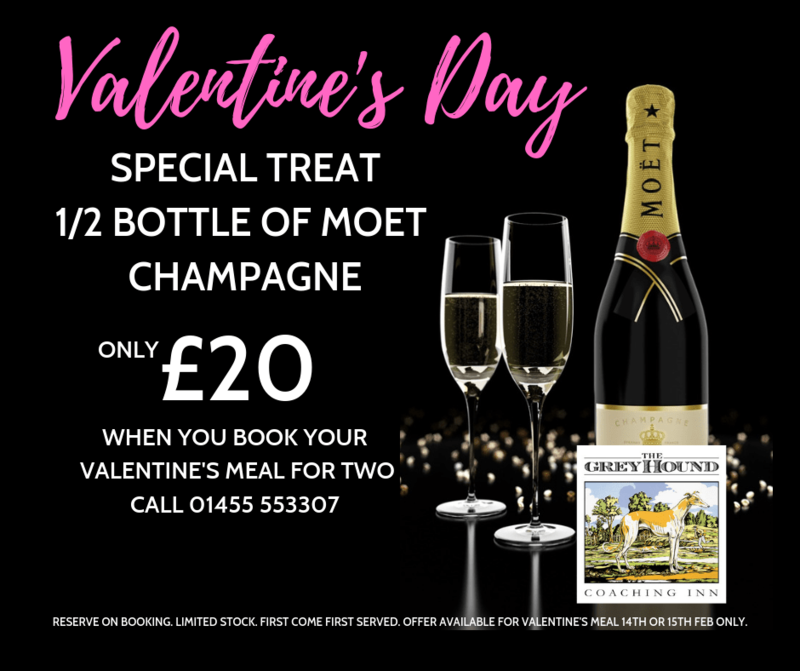 A special treat for all Valentine’s couples. 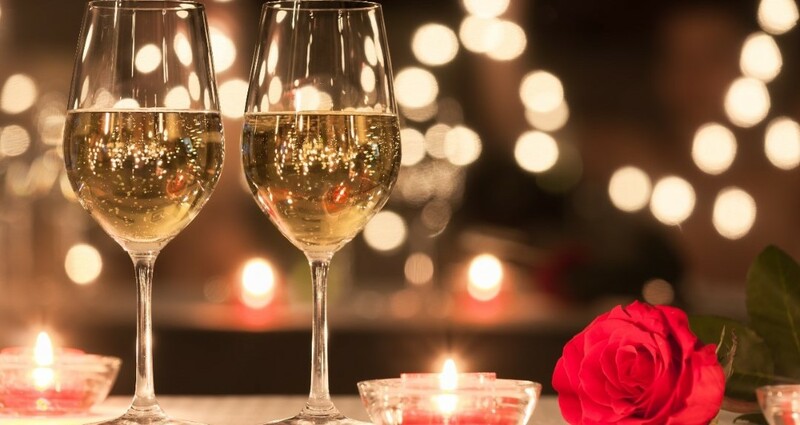 We’re offering a ½ bottle of Moet Champagne for just £20 to all romantic couples who book their Valentine’s Meal for Two on 14th or 15th Feb. Simply reserve your bottle when you book your table. Call 01455 553307 or email us. Offer available on Thursday 14th and Friday 15th Feb 2019 only. Please note there is limited stock, so this special offer is available on a first come, first served basis.